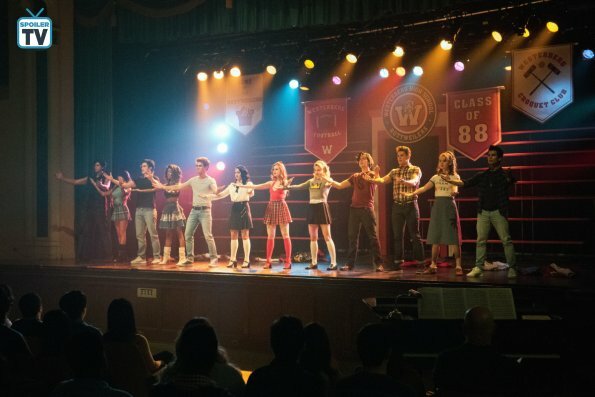 Riverdale's latest two episodes "BIG FUN" and "The Master" are definitely more interesting the previous ones: one is a musical, the other introduces the beloved Chad Michael Murray as the Farm's leader. But let's summarize what happened in these two episodes. Like last year, the Riverdale High is getting ready for the production of Heathers, this year's musical. Cheryl finds out that Toni has been assigned as the choreographer. Kevin is involved too, and search help in Evelyn in order to help financially the musical. Breaking news in Lodge's house: Veronica learns that her parents are breaking up and turns to Reggie for comfort, but it doesn't go as planned. Jughead discovers that the old trailer is being used as a lab for Fizzle Rock by his mother and he decides to set fire to it. Betty helps Jug and she finds out about Evelyn's involvement in the musical. She organizes a pre-show party where Kevin has a hallucination. 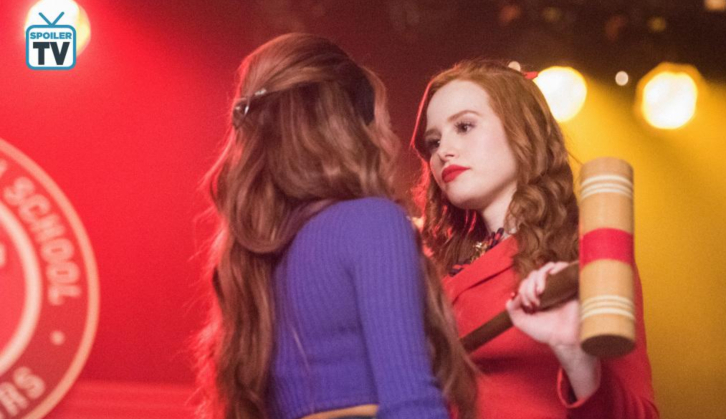 Toni and Cheryl fight, but in the end, they decide to get back together. 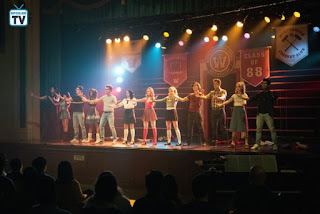 The episode ends with the show: the cast performs and Edgar Evernever appears. He is Evelyn's father and when he starts clapping, all the audience members dressed in white follow suit giving a standing ovation to the musical. I enjoyed this episode and the songs as Beautiful. But I'm not an expert in Heathers, and I am not sure that the big fans of the musical were so happy with "Big Fun". 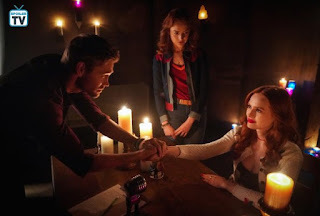 I really don't care about the Lodge's divorce, and I have to be honest, I hope they will die and let us free from their evil plots that are getting boring. In "The Raid", Veronica and Betty have a tour of The Farm's headquarters and they ask Cheryl for help to help her infiltrate the farm. Meanwhile, Archie gets to know by his old cellmate, Mad Dog, that all juvenile prisoners will be transferred to Hiram's prison. He asks Veronica for help, they manage to convince the governor to pardon Archie's prison friends. As soon as they get out, they decide to help Jughead take down the Gargoyles after Mad Dog learns his family is in danger because of their Fizzle Rocks operation. Veronica tries to get her parents back together, but she has to surrender when her parents officially announce that their marriage annulled. While Cheryl is infiltrated at The Farm, she talks with Edgar Evernever, and they discuss Jason's death. Cheryl returns and tells Betty that she has decided to join the cult because The Farm has allowed her to see Jason—in the flesh. Betty goes to her mother and asks if the reason she has joined The Farm is that she can see her son, and Alice says yes. While Archie and Jug still think that they beat the Gargoyles for a moment at least, they receive a baby tooth as a threat. Another tragedy strikes: Archie's prison mate, Baby Teeth, has fallen victim to the Gargoyle King. after F.P. discovers his body in the forest. This second episode was quite scary and absurd at the same time. This season is really confusing. But I really like Chad Michael Murray, the cast always shines, the stories less. And you? What do you think of "Big Fun" and "The Raid"?